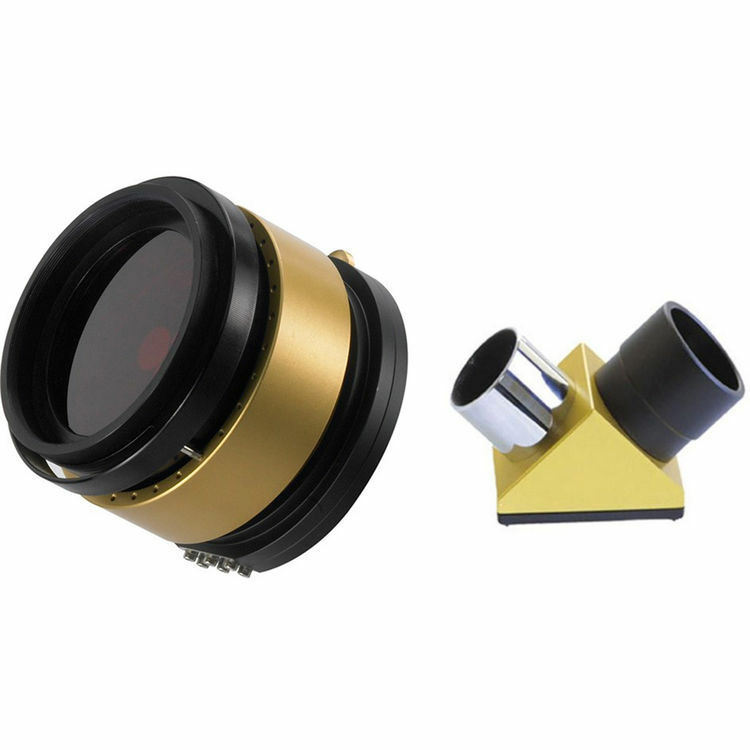 Unleash the full observational power of your nighttime telescope with Meade Instruments' Coronado SolarMax II 40mm/60mm/90mm H-a Etalon with Blocking Filter Set. This two-part kit consists of a primary front external etalon and a rear 10mm blocking filter tuned to the Hydrogen-alpha bandwidth with a bandpass of 0.7Å. 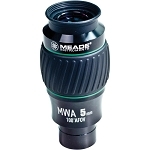 This system is designed to fit onto astronomical OTAs and adapt them for solar observation, and is meant for use on telescopes with focal lengths of up to 1000mm. Prominences are revealed in high-contrast with the filters installed and when conditions are right, surface texture is also revealed. Prominences generally appear larger with 0.7Å filters versus narrower bandwidths. The front etalon is equipped with the proprietary RichView tuning system that allows users to shift the angle of the filter to compensate for variations in ambient temperature and barometric pressure, or to compensate for Doppler shift. 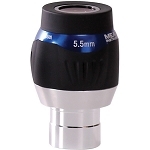 This tuning capability also allows you to increase contrast on specific areas or zones for more detailed observations. Custom mounting of the front etalon is required, and adapters are not included with this set. The rear blocking filter comes as a 90° star diagonal; and is made to fit into 1.25" drawtubes and accepts the same barrel diameter eyepieces. Use of this blocking filter is required for safe viewing as it performs a critical role of providing secondary filtration that further isolates the H-alpha bandwidth while blocking more light to avoid damage to your eye.